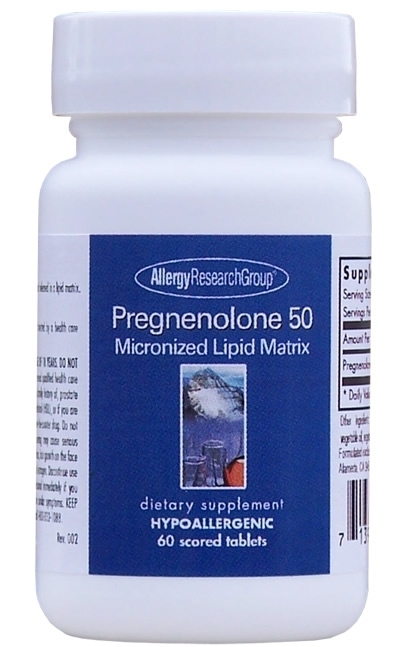 Micronized and sustained released pregnenolone. Formulated in a lipid matrix to bypass the liver, and micronized to a particle size of less than 50 microns. Derived from non-irradiated and non-ethylene-oxide-treated wild yam.